Funeral flowers West Bromwich, Funeral flowers Great Bridge Tipton, Funeral flowers Wednesbury. Well, we all know that this has never been an easy one to talk about. We know that funerals are an inevitable part of life. It can be extremely difficult to manage the proceedings at a time when you have lost a closed family member or friend. We know that there are a lot of emotions and feelings linked with it. At Daisy Bumbles, we understand those feelings and emotions and we take care of the arrangements for our customers because it is not easy for everyone to organize the funeral arrangements. We have always believed in helping our customers and taking care of all their concerns and worries particularly at a time when things are just so difficult. Not everyone is in their right frame of mind when they lose the loved ones. We understand that and hence at Daisy Bumble, we take care of everything. We leave our customers with as little stress as possible because these phases are already so difficult for everyone. We are very particular about the overall experience so we ensure all the necessary arrangements are in place. 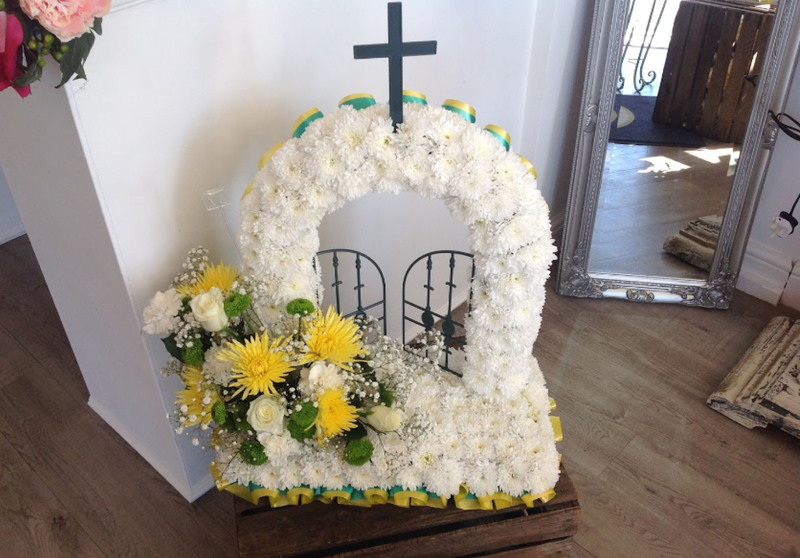 Here at Daisy Bumbles Florist Tipton, we are happy to give free advice and guidance on the style and price of any type of tribute or sympathy floral display to help you buy your flowers at the very best value for money. Over the years we have earned a lot of customer appreciation and trust not only because of the services we offer but also the customer experience. It is our endeavour to lessen all your worries and stress with regards to managing the funeral arrangements. We know what one goes through at a time like these which are hard to cope up with. So if you are searching for Sympathy flowers Dudley, Sympathy flowers in Great Bridge Tipton, Funeral flowers West Bromwich or Funeral flowers Tipton, we can help you. Get in touch with us. 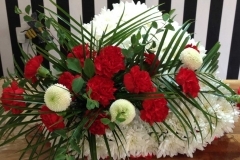 We are happy to help with standard or bespoke funeral arrangements. 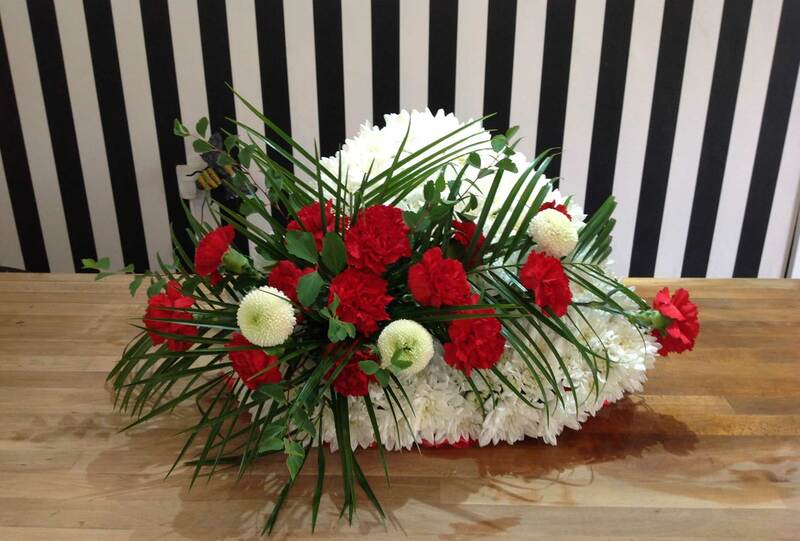 These include a dedicated range of West Bromwich Albion F.C and Wolverhampton Wanderer’s F.C funeral flower displays. 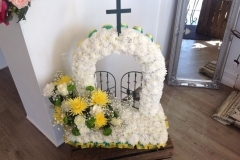 We have already helped many local families who want to show their respect to departed loved ones and friends, and have created many unique arrangements and pieces so whatever your request we can help. If you are looking for flowers to spell names of the departed soul. We can help with that too. We also offer a free local delivery service. or visit us at our shop, we are at Daisy Bumbles 219 Toll End Rd Tipton DY4 0HP and discuss your requirements, and together we will create a display worthy of your loved one’s memory.